Feral sneaks up on you. For the first ten or so minutes, you aren't sure where you're going or what to expect. Then you begin to settle into the movie's vibe, and before long, you're completely under its spell. This is one of those raw, unsettling works that takes you to a place you wouldn't get to go otherwise. The film was screened at the 2019 Sarasota Film Festival, and could well find significant success on the indie market. Annapurna Sriram (The Blacklist) plays Yazmine, a young woman who lives in the train tunnels beneath New York City. A troubled past has led her underground. Occasionally, she comes up to the surface to root through the city's garbage in search of food, or to ingratiate herself to another person so that she can swipe their cash. Yazmine is reluctant to seek assistance because, as she says at one point, every time someone offers a helping hand, “there's a razor blade in it.” She does, however, meet some colorful individuals. There's no formal story arc in Feral. We simply follow Yazmine through an especially challenging period of her life. The movie is reminiscent of the works of Sean Baker (Tangerine, The Florida Project) in the way it prioritizes extreme authenticity and a slight hint of impressionism over the traditional three-act structure. The approach works here for two reasons. First, sections of Feral were filmed in the actual tunnels, which gives it a gripping sense of urgency. It feels real because it is real. No professionally-designed set could ever generate the sensation you get from seeing something filmed in such a specific location. Second, and just as important, is the lead performance from Annapurna Sriram. She takes you through a range of the character's emotions, both high and low. The actress gives an empathetic performance, never judging Yazmine even when the young woman is taking advantage of other people. Because she never judges the character, neither do we. Instead, we root for her to get help, heal herself from a past trauma, or both. Anchored by her performance and briskly directed by Andrew Wonder, Feral is a tough, well-made, brutally honest look at homelessness and what it takes to survive. When it's over, you feel shaken. 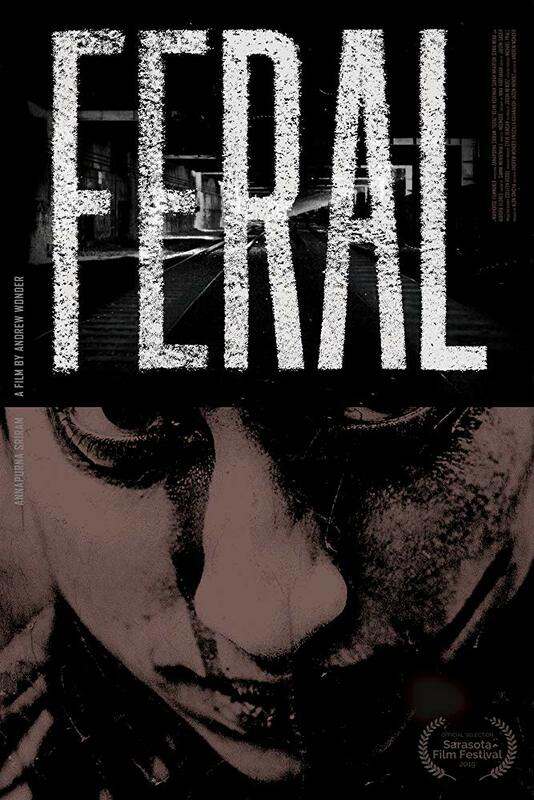 Feral is unrated, but contains language and some sexual situations. The running time is 1 hour and 13 minutes.